FDN series rollers are completely metallic, double friction rollers used for the temporary accumulation of units, also in case of resistance to motion. In fact with the only radial friction they can win deformations of the contact surfaces and the units sticking, even if not centrally loaded, slight slopes or side rubbing. FDR series rollers have similar features but, beside the dragging radial friction force in proportion to the weight of the load, they have an adjustable pre-loading system of the axial friction. The axial friction can supply an additional force to be foreseen for particularly critical situations, with marked irregularities and resistances. However, we suggest not abusing of the adjusting and choosing the minimum necessary one to grant the running by avoiding problems of higher compression between the conveyed units, exceeding overloads to transmission or yielding of the stop devices. For your correct selection we suggest contacting Rulli Rulmeca. 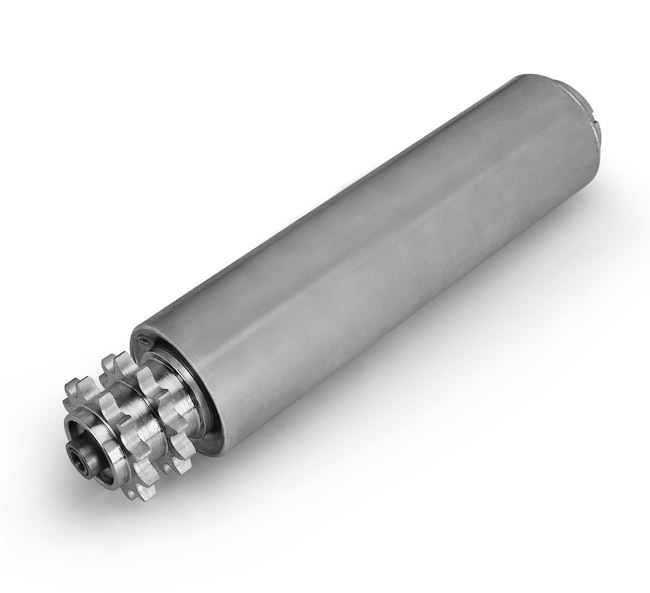 The use of these rollers is allowed for peripheral speeds up to 0,5÷0,6 m/s and for application temperatures from -20°C to +60°C, to be verified for maximum loads.